We checked out the reference design of the ATI HD 5750 last month and, to be honest, it got the sort of reception we'd normally give to a visit by Peter Mandelson. Actually, that's not true, nobody tried to punch him in the face. Anyway, it didn't do particularly well. Now the graphics manufacturers are producing their own versions and here we've got the HIS version with a whole new cooler on it. Aside from that things ain't too different. We're still talking about a 700MHz clockspeed, 1GB GDDR5 and a 128-bit memory bus, but importantly we're also talking about a month down the line in terms of driver stability, which ought to make a vast difference. AMD has always been good at updating its drivers, some would say because of the failings of particular GPUs it's had to be, and that's shown by the performance of the 4850 today and what it was at launch. The same it seems can now be said of the 5750; at launch Dexter got single figure performance numbers out of Far Cry 2 at the higher resolution of 2,560 x 1,600, but now with the HIS 5750 I was hitting 23fps. Across the board the 5750 managed significantly higher frame rates than the equivalently-priced overclocked GeForce GTS 250s. Now that it's more capable at higher resolutions we've got a little more time for this n00b. The problem of this graphic card's price though still remains. 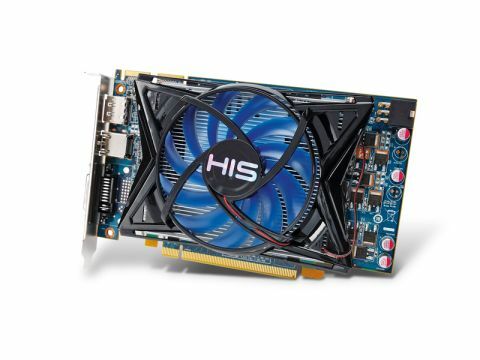 At nearly £110 you're only a tenner shy of a Radeon HD 5770 and not much more from the far superior 4890 or GTX 260. Though those cards represent the last generation and can't do the DirectX 11 dance, they're still demon GPUs compared to this pricey, low-powered DX11 chip.